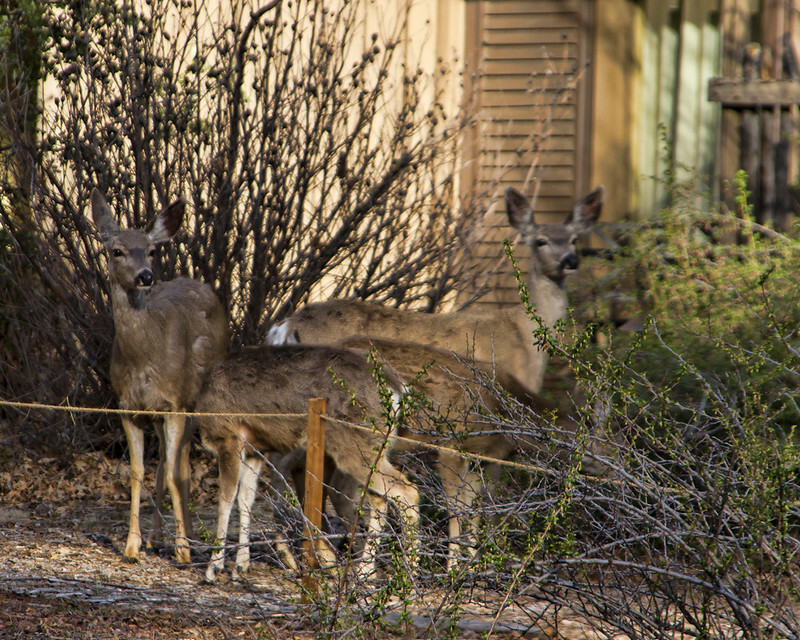 This morning we took one of our usual walks around the back of Yosemite Lodge. We encountered groups of deer roaming, looking for a morning munch. What I didn't expect was what happened as we got down to the area of the swinging bridge. There were a lot of photographers in the area, closer to the water. So we walked down to see if there was a nice reflection. 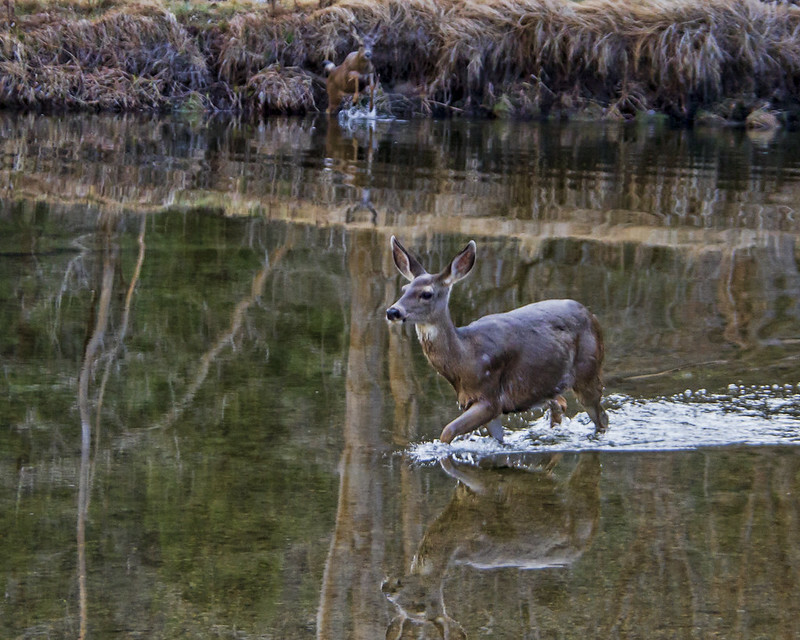 Then I noticed the deer across the creek approaching the edge of the water. Then, to my surprise, he entered the water and began crossing right to me. 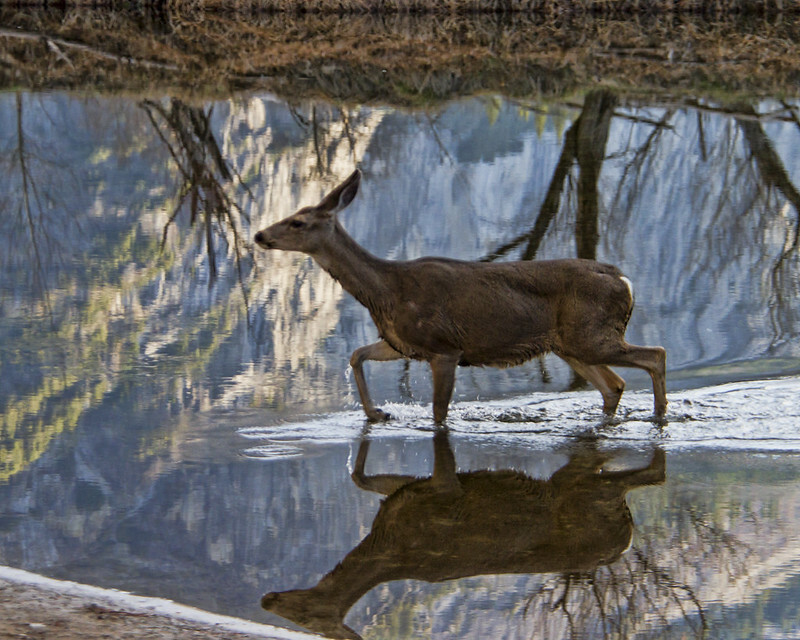 If you look in the picture, you see another deer entering the water to follow. It was kind of amazing and something I had never encountered. Once they were both safely on the bank by us, they scampered off to find "greener" pastures.